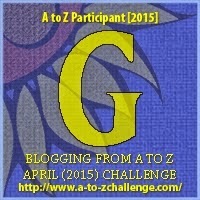 #AtoZChallenge – Flash fiction based on life’s philosophy or mood or emotions, interpreted using colours. Gold is illumination, wisdom, and wealth. 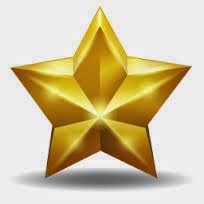 Gold often symbolizes high quality. I looked at the lanky young man standing in his ‘buy 2 get 1 free’ shirt and well-worn shoes. Then I glanced at my daughter beside him, in her Zara dress and red stilettoes with a determined defy-me-then-you-see tilt to her chin. Couldn’t she see the difference? How would she be happy when the man would not be able to provide the comfort that she was accustomed to? Couldn’t she understand the golden sheen of love washes off with harsh realities of life? Right now I wasn’t even thinking of my own standing or honor in the society. I was worried about her future. This was an age old issue and I never thought that one day, my own daughter would lead me to face this dilemma. I sighed. I had to give in, bound by love to the sunshine of my life, who in turn was blindly in love with the idea of love. “Why don’t you stay with us after marriage?” I said on a whim. “Oh papa!” Rhea hugged me hard and beamed at Arjun. Now Rhea beamed at me. Everyone was happy. The matter was settled. “Mr Mehta, there is one Arjun Khemka asking for your time,” my seceretary interrupted me. “I didn’t want to discuss this in front of Rhea, it’s a matter of my prestige.” Arjun opened the conversation. “What are the conditions of our staying with you?” Arjun uttered the words I had guessed he would. I smiled and glanced towards the curtain which parted to reveal a fuming Rhea.